I saw a photo of a flower blooming last year on someones Facebook feed and the caption across it was You can’t rush the blossoming of a flower, it blooms when it blooms. It really resonated with me and this week came into my mind on several occasions when things that I had ben pushing in the Spring, let go of, and then had come back to this week, started to fall into place. And fortunately so, as a few months ago I wasn’t in the same place emotionally and the opportunity, should I have forced it then, may not have come to fruition. Its so easy in hindsight to understand the now cliche it all happens for a reason, but far harder to remember when you are in the thick of things. Anyway thats been an amazing reminder this week, to really trust and do your work and then let go. 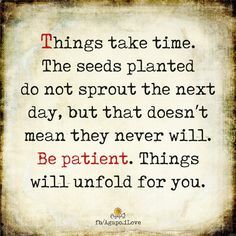 To release yourself from attachment to the outcome to really have faith that if this doesn’t work out now then maybe it will later and if it doesn’t later then its because something better is coming along. Today I taught a yoga class and whenever I teach I find myself saying over and over again to think of the word soft, to soften your jaw, your face, your gaze. Its incredible how fast someones face can harden. It’s really a case of repeating and repeating and so again I say to myself today, soft. Do your work and then let go, be soft and know that things are happening even if you can’t actually see the petals blooming, just know that they are.